Step into the shoes of Formula 1 legends with this track day in the Cote d'Azur. After coffee and snacks, get kitted out in FIA approved safety equipment. Expert instructors lead a briefing and give a taste of the 2.2 kilometre Circuit Gonfaron in a course vehicle. 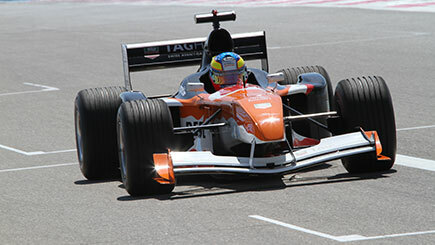 Next, slide into the Signatech-Renault F4, boasting paddle shift gearbox and over 400 bhp per tonne. After two driving sessions to refine technique, break for lunch. For the main event, take the wheel of a genuine F1 World Championship Grand Prix car from either Prost or Arrows. They're capable of 0 - 120 mph in under five seconds, equipped with carbon brakes and the same Cosworth engine that has won over 175 Grand Prix. Four laps later, finish with a glass of champagne and a certificate.